Mike specializes in the development and application of custom computer models in support of a variety of water quantity and quality investigations. 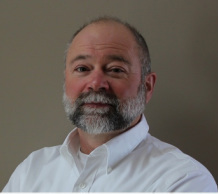 His current focus is on the development of computer-models addressing regional and local groundwater management, saltwater intrusion, low-impact development measures for stormwater management, receiving water quality, and river hydrodynamics. In addition to Mike’s strong industrial experience, he is actively developing research projects addressing low-impact-development measures, regional low-flow assessment, climate change, surface water quality, water and wastewater treatment, and groundwater modelling. Mike is a Designated Consulting Engineer and licensed professional engineer in Ontario and co-owner of Profound Engineering Limited.